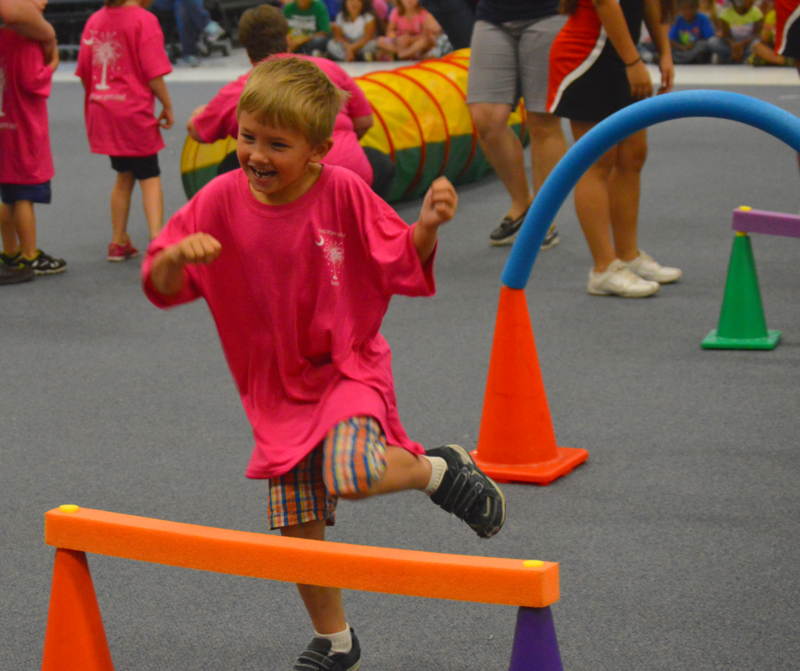 The Young Athletes Program is an innovative program that was designed for children, ages 2-7, with intellectual disabilities in order to introduce them to the world of sports. This program was developed to focus on fundamental skills that will help a child improve physically, cognitively and socially. The Young Athletes Program serves as an introduction to Special Olympics South Carolina and the support we can provide to families and schools. Young athletes programs are typically held during local Spring Games and State Games (Summer and Fall). To register your child for the Young Athlete’s program please complete the Athlete Release Form and the Medical Form. If you would like more information on how to get your child involved or want to start a program in your school, please contact Kara Harmon.